The Math Tutor Corps at UC San Diego's Eleanor Roosevelt College (ERC) brings together several UC San Diego organizations to support math students at Lincoln High School in southeast San Diego. UC San Diego ERC students take a 2-unit course and learn how to tutor mathematics from MfA SD Master Teaching Fellows alumni. While students are taking the course, they serve as tutors for Lincoln High School students in math classes for at least four hours each week. Students work primarily in algebra and intermediate algebra classes at Lincoln, courses where the greatest need exists. 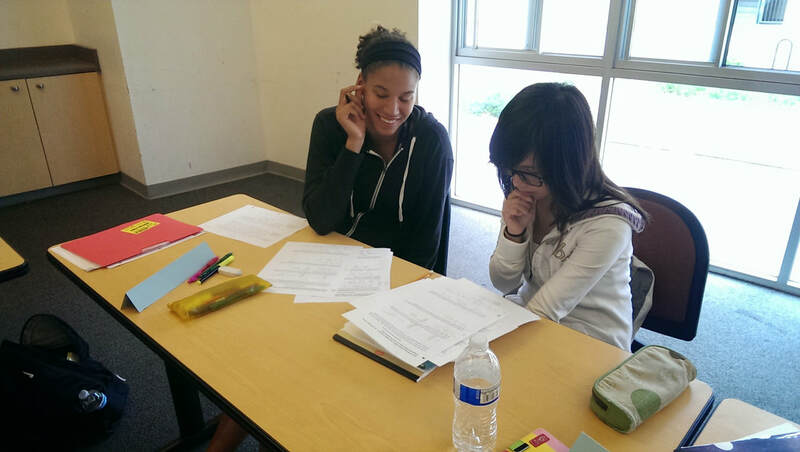 The UC San Diego students acquire real-world skills as math tutors while making an important contribution to a UC San Diego partnership school. Read the lastest blog post about the 2018-19 Math Tutor Corps on the UC San Diego CREATE blog!